Regular followers and friends know that I love my Power Hours. I schedule these hours on twitter, throughout the week, to shine the spotlight on great blogs I enjoy reading and the interests I follow. October is no different… I’ll still be sharing my fave posts, but my format is evolving! Follow me for tweets about #FamilyTravel, #OutdoorFamilies, #HikeOnHumpDay, #GeorgiaMom and more. Monday: Follow hashtag #FamilyTravel at 10am est to tune into the Family Travel Power Hour. Tuesday: Follow hashtag #OutdoorFamilies at 4:30pm est to tune into the Outdoor Families Power Hour. 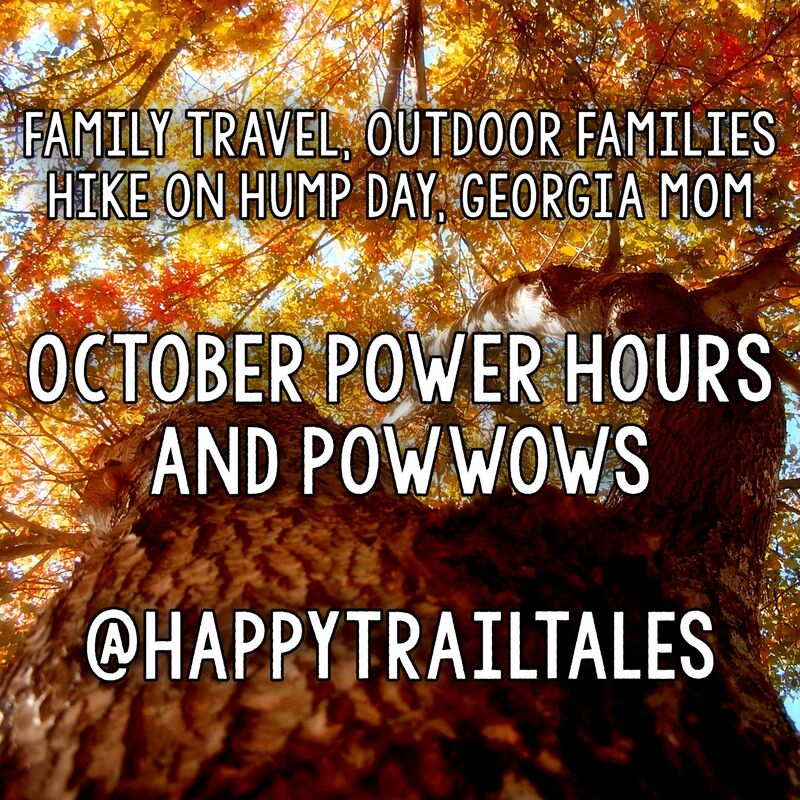 Saturday: Look for the weekly Power Hour PowWow post, right here on Happy Trails Wild Tales, for a recap of the week’s Power Hours. Now, about that new format…. During the first half-hour of the Power Hour, I’ll be featuring one blog that I really enjoy reading. I’ll launch into sharing posts and tweets from other featured blogs for the second half-hour. It’s simple! I’m also adding a recap post, The Power Hour PowWow, every Saturday. This will give even more exposure to these great blogs and keep track of the Power Hours for anyone who misses them. Which Power Hour are you following? I love the power hour. Thank you so much for the times you have retweeted my post. No problem! I love it, too. I find many great posts I may have overlooked when I set it up each week! I’m going to try to remember these! Great idea to have a schedule.